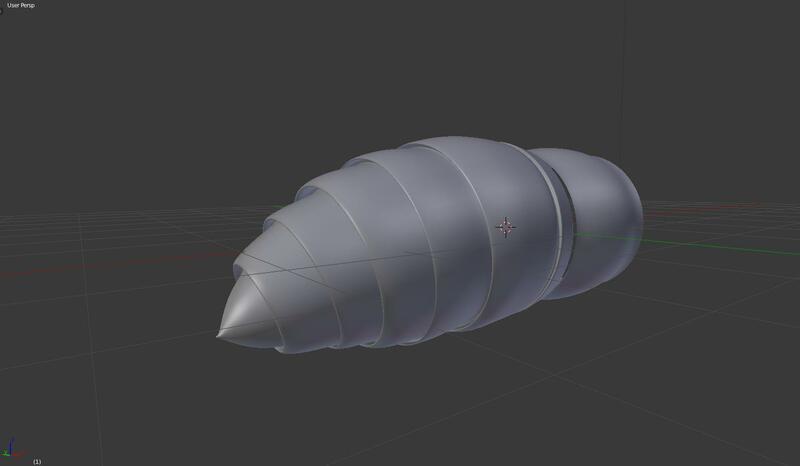 Started work on the Misery’s character ship. Couldn’t find a very good shape until I saw a Wasp flying outside one day. Then I knew that was it. Did some quick research on them and found out that they are quite beautiful creatures. Perfect shape for what I needed. This is the first part of the ship’s engine. These half sections will adjust as the ship lands and takes off.